Alright so Friday is Valentine’s Day, never one to miss a theme opportunity, I have a compiled a few recipes. Notice the shape of a heart in every single one? I didn’t intend for that to happen, but they were so cute. I have also noticed in me that the Love Holiday brings out my love of bacon. Last year I featured a bacon bouquet, this year I have made chocolate dipped bacon hearts. What can I say I’m not a candy, chocolate kind of girl. 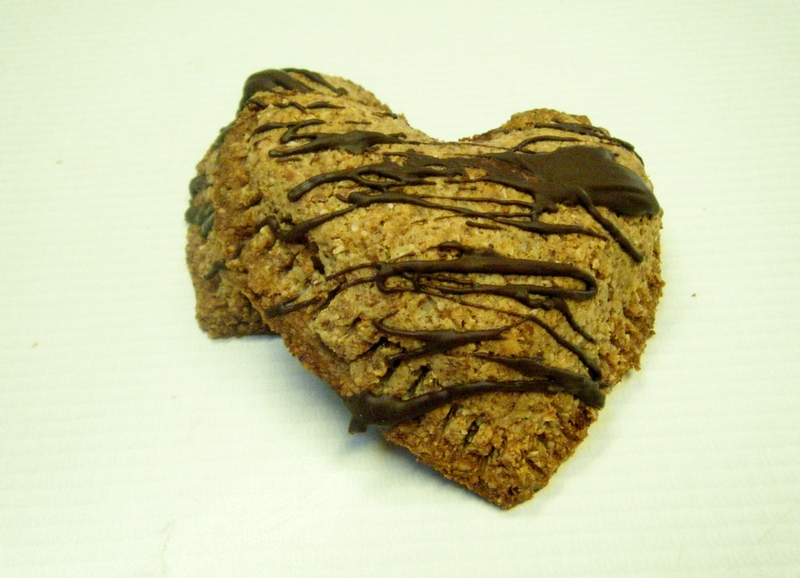 So here are some delicious treats to share with the loved ones this week, enjoy! Let’s Make it Happen: start with the bacon. 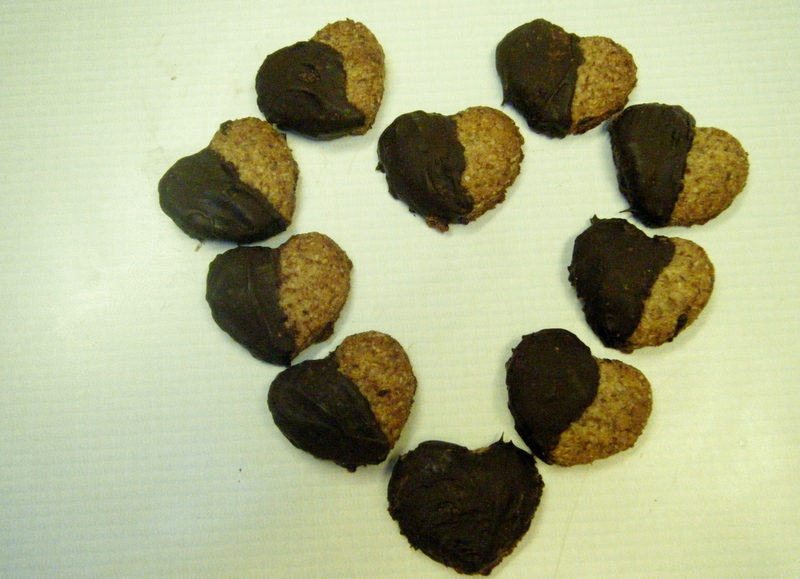 Take a slice and fold one side, then the other so that it resembles the shape of a heart. Sprinkle a little coconut sugar on top. Bake @ 350 for 20 minutes or so or until nice and crispy. Mine seemed to take no time! Let cool so that they hold their shape. Melt Enjoy Life Chocolate. 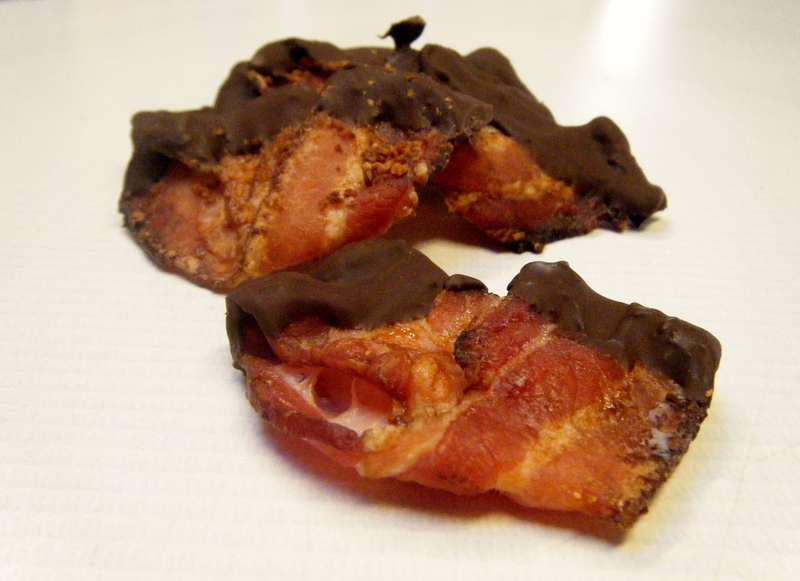 Dip the tops of the bacon into the chocolate. Set back on the cooling rack. 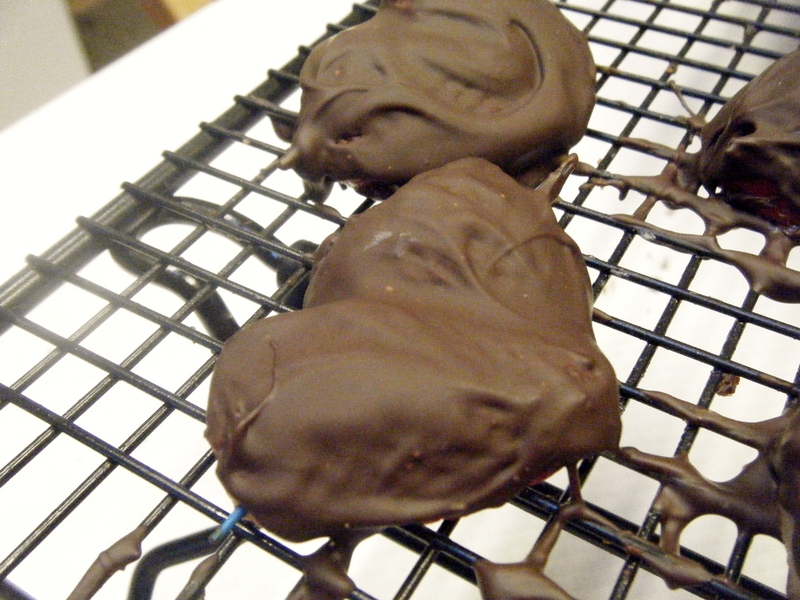 Once all my recipes were chocolate dipped. Let the chocolate set up, dig in. Let’s Make it Happen: I work at a pie company, so I have been wanting to make some hand pies for awhile now, here they are! Stir almond meal and salt. Crack in the egg. Use a fork to blend in the coconut oil. Form into balls. Roll onto a dusted service (note here I used coconut flour). Cut with a heart shaped cookie cutter. In a pot heat raspberries, honey, and vanilla. Spoon into the center of a heart-make sure to leave room around the edges to seal the pie. Take another pie crust heart to place over the bottom heart. Smooth gently along the edges with your finger. Take a fork next to seal around the edges, lightly pressing down. Bake @ 350 for 30 minutes. Drizzle with Chocolate, enjoy! Let’s Make it Happen: Mix the flour and salt. In a separate bowl combine oil and maple. Now add the wet bowl to the dry. Make sure it’s smooth. Pinch off balls. Flatten. Cut with a heart cookie cutter. Bake @ 350 for 10 minutes. Let cool. Melt chocolate. Dip half the cookie in the chocolate. Allow the chocolate to set up and you’re good to eat.